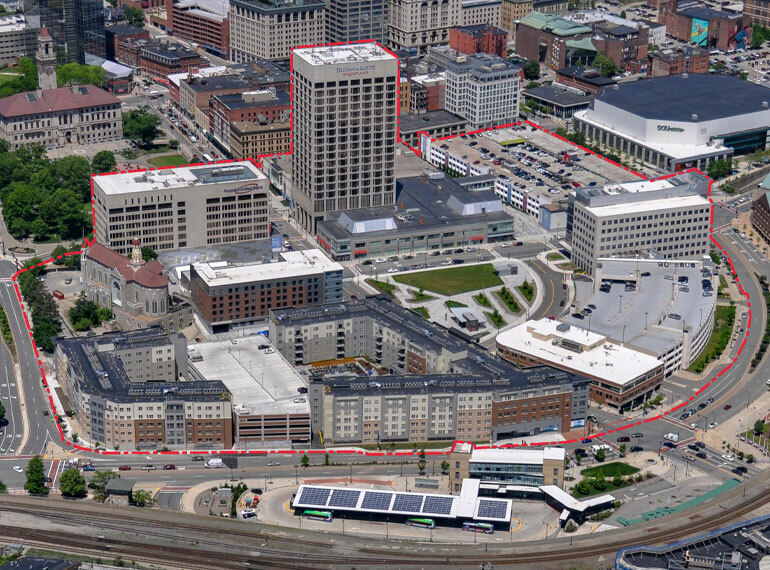 CitySquare is a +/-2 million sf, mixed-use project set on 20 acres in the heart of downtown Worcester. 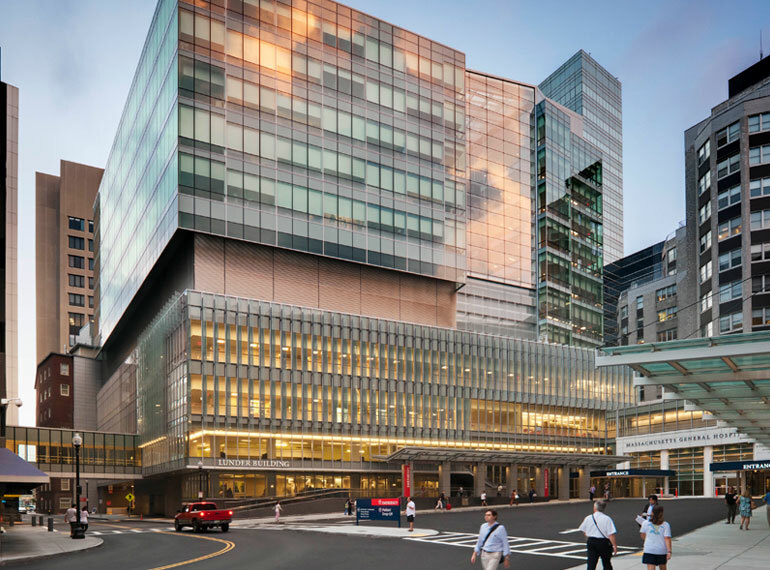 It is the largest single Public-Private Partnership in Massachusetts history, outside of Boston. Spanning more than 10 years, the project is now in its final phase and has become the hub that now connects many of Worcester’s most prominent destinations – a potential that was forfeited long ago, and thought to be forever lost, when the Worcester Galleria Mall was developed in the name of urban renewal in the late 1960s. The City of Worcester saw economic opportunity in demolishing the Mall, which had closed and had become a blight on the community. 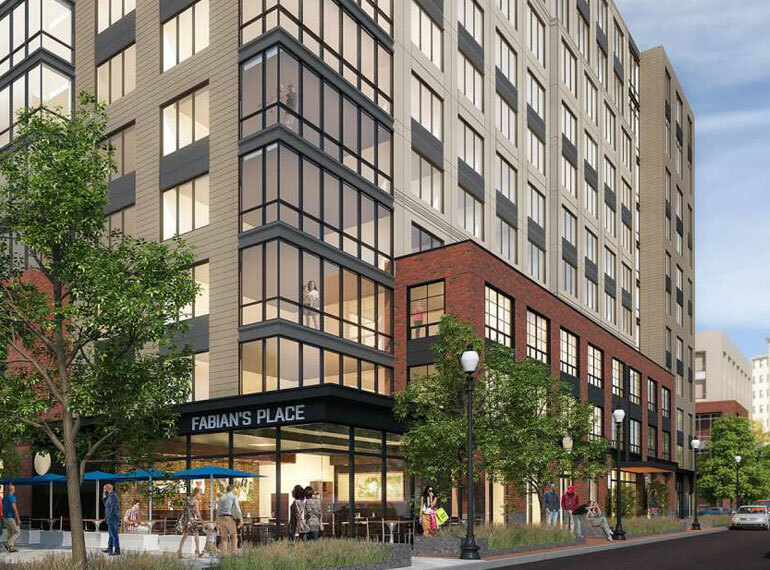 Bifurcating the 20-acre site with new public streets and related infrastructure would create multiple private development opportunities, restore neighborhood connectivity and provide for a more pedestrian friendly environment. The vision of the Public-Private Partnership called for an investment of public funds, primarily through District Improvement Financing (DIF), to demolish the Mall, perform environmental clean-up, and construct new public streets, utilities and public amenities. Increased Real Estate Tax revenues derived by 1.2 million sf of new private development would support the DIF repayment structure. The property was purchased by a developer in 2004 with the intent of executing the ambitious plan, but after much effort the project stalled. Hanover Insurance, as one the largest employers in the City, saw merit in the City’s vision and through its investment subsidiary sought a leadership role in the project. In 2009, Opus Investment Management engaged Leggat McCall Properties as their advisor and development manager. LMP analyzed the proposed development plan and made recommendations on project scale and real estate product mix to improve project viability. 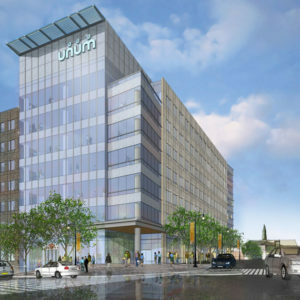 LMP worked with Opus, the City, and the existing property owner to subdivide the site, enabling Opus to purchase the developable portions of the project, leaving the existing owner with substantially leased commercial office buildings that would remain in operation through the extended development period. 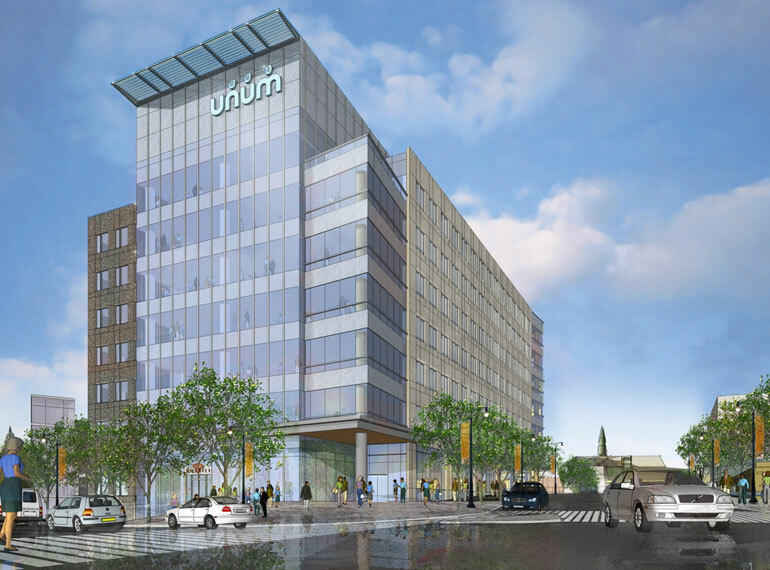 LMP took on the developer role in the Public-Private Partnership in 2010 and immediately began demolition of 800,000 sf of the Mall structure and 2,300 spaces of structured parking to free-up 12 acres of land for new development. The demolition project involved a complicated surgical separation of the unified Mall and Office structure, including building systems, services, and utilities in an occupied environment. The work included $12 million in environmental cleanup that included ACM and PCB abatement and the removal of contaminated soils. A Beneficial Use Determination issued by MADEP allowed the project to process 80,000 tons of clean and abated concrete waste material into engineered fill for use beneath new public streets. All of the structural steel, metal deck and reinforcing steel was also segregated for recycling. LMP worked with Opus, the City, and other stakeholders to further subdivide the site and define the layout of public streets and infrastructure. LMP also expedited the site plan approval process for each project resulting from the subdivision, in some cases working with other owners and developers who subsequently chose to invest in CitySquare. As development manager representing the City’s interests, LMP oversaw the design and construction of the new public streets, sidewalks, utility infrastructure, and 2-plus acres of public parks and pedestrian plazas. 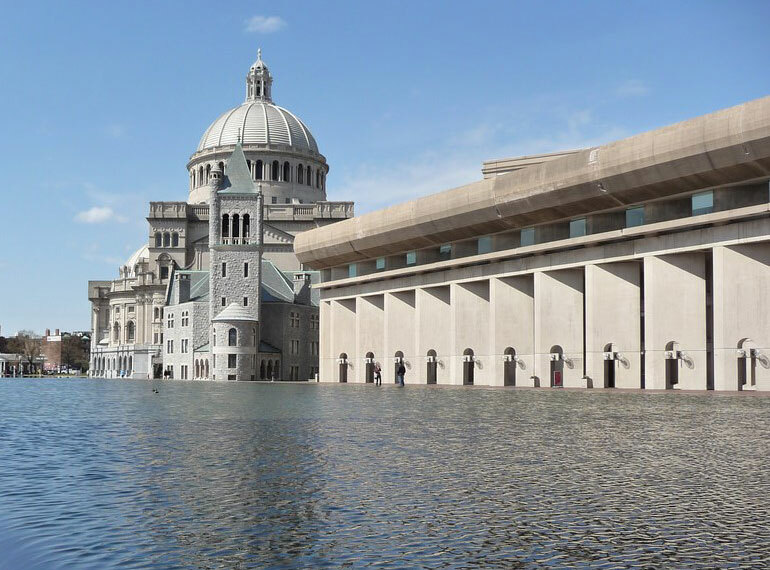 Much of this new infrastructure was created above existing and/or new below-grade structures that made for complicated structure, waterproofing and stormwater drainage conditions. The public work also included a 565-car below-grade public parking facility, operated by the City through a long-term ground lease with project ownership. Management of the work was programmed by LMP to align with the complexities, limitations and timing constraints of various public funding sources, including District Improvement Financing (DIF), three separate Growth District Initiative Grants, a MassWorks Grant, a Federal Transportation Grant, State Legislative Grant and Brownfields funding. 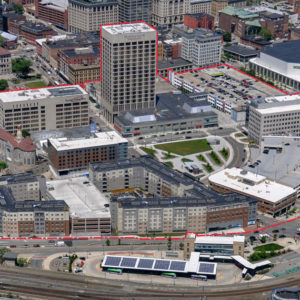 Numerous easements, cross easements and other agreements between the various project stakeholders, including private land owners, lease holders, utility providers and the City of Worcester. LMP is presently overseeing sales efforts in the marketing of the two remaining land parcels at CitySquare.